Are you someone we can help? How to investigate interest in your product or service. Download this research checklist. How to set up your website to be more effective. 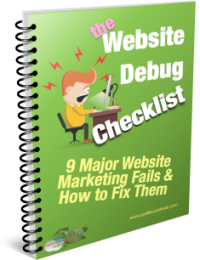 Download this debug checklist. Need to develop a strategy for your online promotion ? Download this flowchart. We'll be here if you need us later ! We find with a lot of clients, it’s a BIG learning curve when it comes to making their website work as part of an online strategy. See how to keep your website active. Learn where it fits in online marketing. See how to connect everything. 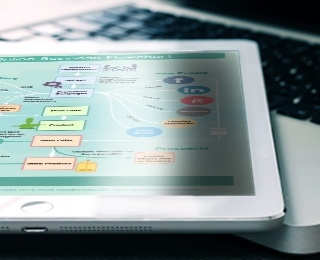 "How internet marketing tools can be used to build a small business marketing plan." Running an existing business or creating a new one takes a lot of attention and work, so it makes sense to look for ways to get the most done for the least effort. If you get CONFUSED about how to sort out your website for online marketing, it might be time for a change. Need More Of A Hand With Your Website ? Does your average day involve you running flat-out trying to juggle everything in your business ? And that’s even before adding in how to get your website and online marketing to work ? And then you can’t get anything done technically with your website or the internet anyway and no-one in the office knows how to do it ? 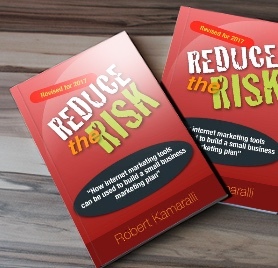 Instead of feeling frustrated and splattered, wouldn’t it be better to know that things are in-place & working behind the scenes on the internet to help increase your contacts and convert them into customers ? We know how to put it together so that it works. We can help you move from you current scene to that more ideal scene. Our online setups and coaching enable you to experience a less hectic business situation that’s under control. Thank you for a very thorough and carefully researched report. It shows clearly what the next steps need to be, and having both the local and seo recommendations is great. Highly recommended service. very easy to understand and am achieving the results I hope for. Clayton Pro Wet & Dry. We have been having a lot of traffic from the website (and particularly Google) recently, so that is really, really awesome, and I am very grateful to you guys for the massive assistance. It has made the difference. Thanks so much. This is why I want to go with you – fast efficient friendly service! Thank you Rob & Lisa for all your hard work developing my website, teaching me the ropes of content management and of course, your efforts in insuring my site has pole position in search engines. I couldn't have done it without you. I'm VERY happy with your service. Cheers! ... you are the best, most ethical and honest, reliable and effective IT guy around! !